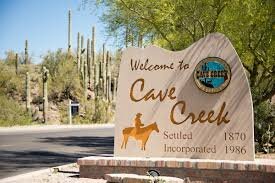 Cave Creek, Arizona regardless of Condition, Price, Or Location: Get A Fair Offer Within 24 Hours. We know there are plenty of reasons why you might want to sell your Cave Creek, Arizona house fast—we also know that selling your home fast in this market isn’t always easy. You may be dealing with real estate agents, picky buyers, lenders, commissions, home inspectors, buyer’s lawyers—the entire process can take longer than expected. Everything you are dealing with right now—the waiting, stress, hassle of getting your home ready for sale, ALL OF IT—could be OVER within a week. (see how below). What Types Of Arizona Houses Can We Buy Quickly? Are you asking, “How can I sell my Cave Creek Home Fast when it needs a lot of repairs?“ — we are one of the only hassle-free buyers in the Cave Creek to sell it to. We will get you a guaranteed offer within 24 hours. Why Work With AZ Home Resources, LLC And Our Local Cave Creek Arizona House Buying Service? First off, we buy houses in Cave Creek, AZ, we don’t list them like a real estate agent. We are professional home buyers based here in Cave Creek and offer a unique home buying service so that you can sell your house fast in Cave Creek and don’t have to worry about it sitting on the market until the “perfect buyer” shows up (which could be months and months). It’s a simple process (Go Here To Learn About Our Process >>). 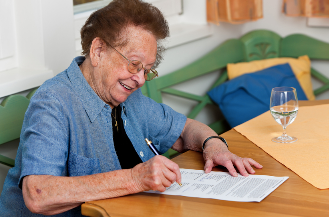 Feel free to call us anytime at 844-833-3449 or simply submit the short form on this page to get the process started! How Does The Process To Buy My Cave Creek House Work Anyway? You’re here because you need to sell a home, and you’d rather sell it sooner than later right? Our local Cave Creek Area House Buying Program is really pretty straightforward. Step 1: Submit your info on this website or give us a call at 844-833-3449 and let us know a bit about the house. Step 4: We close at a reputable local Cave Creek (or other location in Arizona you choose) closing agent / title company, and you’ll have cash in your hands in as little as 7 days. And the beauty is that you completely control how fast or slow the process is. There is never any pressure, zero hassle, and no obligation to work with us ever. You get our offer, if you like it… just let us know when you’d like to close. If it’s not a fit, no problem at all. If you’ve been looking around asking “Who can I sell my house to for cash?”… you’re at the right place. Close On The Sale In As Little As 7 Days. Shouldn’t You Weigh All Of Your Options Before You Sell Your House? And Can Make You a Fair Cash Offer Today. Get Started Below. Need To Sell Your Arizona House Fast? We help property owners just like you, in all kinds of situations. From divorce, foreclosure, death of a family member, burdensome rental property, and all kinds of other situations. We buy houses in Cave Creek and surrounding areas. Sometimes, those who own property simply have lives that are too busy to take the time to do all of things that typically need to be done to prepare a house to sell on the market… if that describes you, just let us know about the property you’d like to be rid of by going through the “sell my Cave Creek house fast for cash” form on this page.